An annual lookback at 2018 and some of the games and trends in indie rpgs. Please note: this was recorded at a busy convention and so there is considerable background noise and microphone pops and clunks. Please be cautious if listening using earphones. 3308 Q&A: Which rpg mechanic or aspect best delivers the designer’s intent? 3950 Q&A: The greatest misuse of PBTA? 4235 Q&A: What makes an rpg well-suited for Twitch / performing in front of an audience? 4550 What games are you looking forward to? A lookback at the origin of the oft-used and oft-rejected term of ‘story games’. Earlier this year, the website of a mainstream British newspaper cited ‘the emergence of the “story-game” movement’. Many, including those outside and inside the ‘movement’, intensely dislike the term, finding it unnecessary and divisive. However, despite this and a bevy of alternative suggestions over the years, it’s clear that the term has stuck. As such, it seems as good a time as any to have a look back at where the term was born. 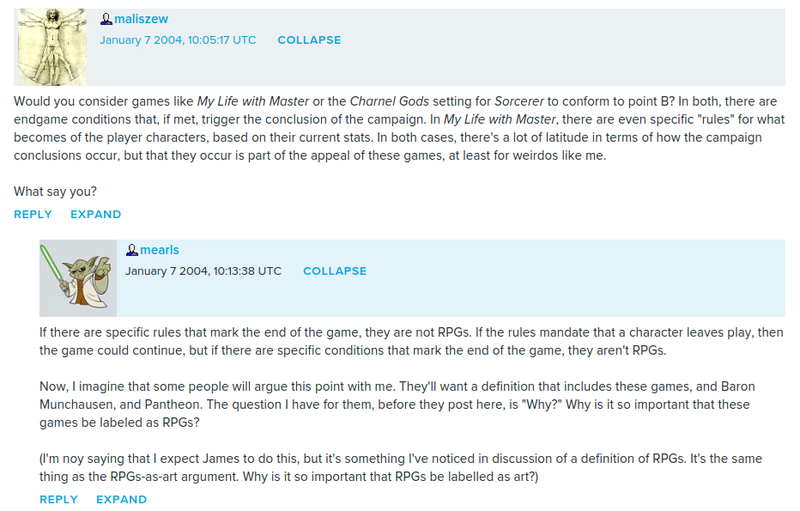 The term “story games” became popularly associated with tabletop roleplaying games because of the Story Games web forums. 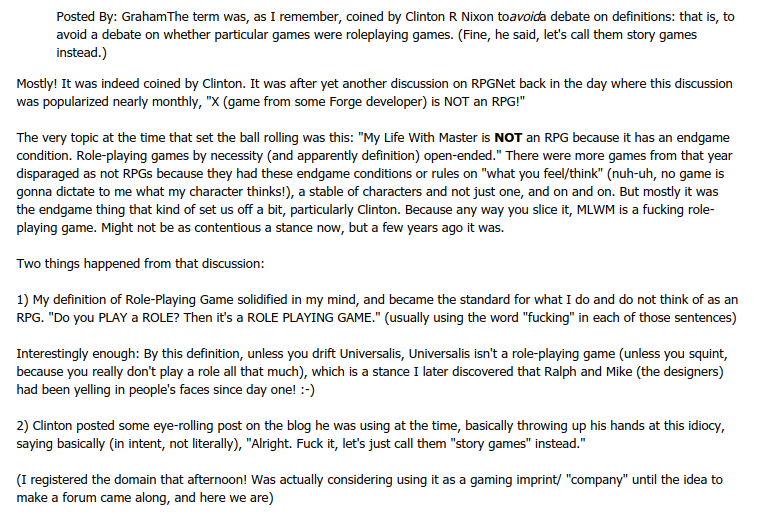 We can see that Clinton was brainstorming different combinations and most likely offered ‘story game’ as a shortened version of ‘Story Now game’, however there was an earlier mention of ‘story game’ in a review in 2002 of the very game that Andy – ten years later – wrote wasn’t a game in which you played a role. 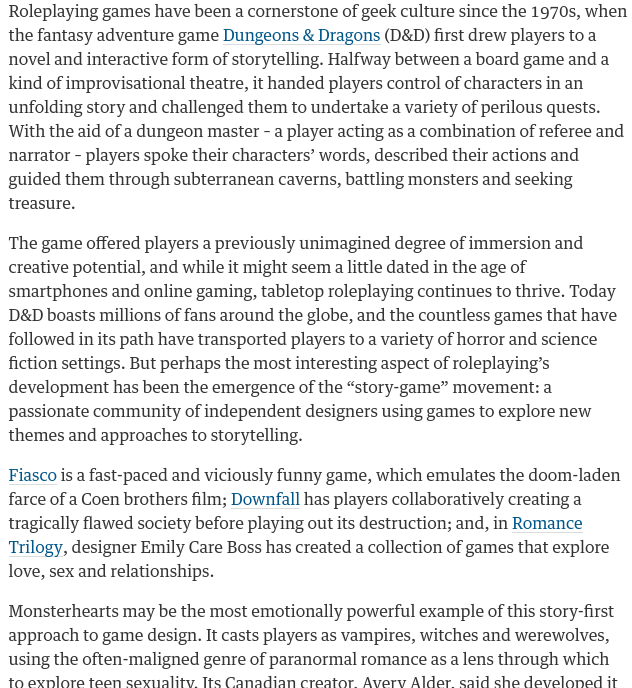 So, that’s a little of where the term ‘story game’ came to become associated with tabletop rpgs. If you came here looking for a definition, then sorry to disappoint. 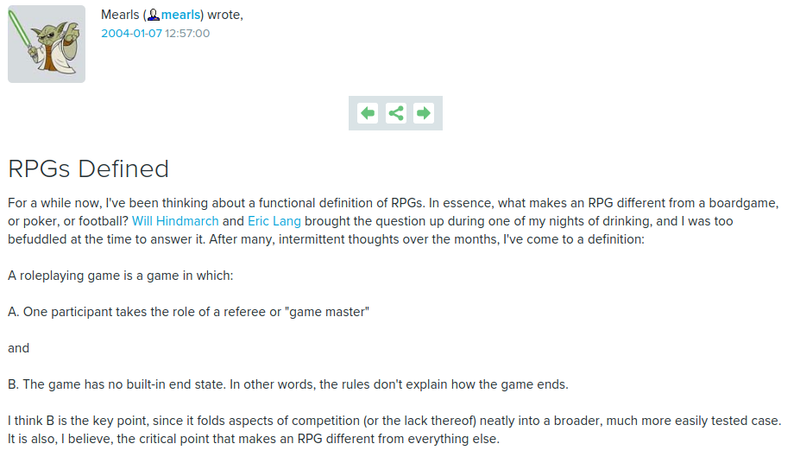 There is no generally agreed-upon prescriptive definition and it can be be variously considered as a synonym for tabletop rpgs, a website, a subset of tabletop rpgs, a separate category of games with some or no overlap, or a playstyle. At its best, I consider it communicating a focus or priority of a game or a gaming session. The phrase as a whole may have no fixed or useful meaning, but the words themselves have power to evoke and inspire. 0000 What were our criteria? Ric & Rob talk with Epidiah Ravachol about Epimas 2016. See the Epimas bundles on the Worlds without Master website. Bundles can be bought and gifted until 23 December 2016. 0046 Read Epidiah’s interview with Brie Sheldon about the history of Epimas.